T helper 17 (Th17) cells are vital components of the adaptive immune system involved in the pathogenesis of most autoimmune and inflammatory syndromes, and adiponectin(ADN) is correlated with inflammatory diseases such as multiple sclerosis (MS) and type II diabetes. However, the regulatory effects of adiponectin on pathogenic Th17 cell and Th17-mediated autoimmune central nervous system (CNS) inflammation are not fully understood. In this study, we demonstrated that ADN could inhibit Th1 and Th17 but not Th2 cells differentiation in vitro. In the in vivo study, we demonstrated that ADN deficiency promoted CNS inflammation and demyelination and exacerbated experimental autoimmune encephalomyelitis (EAE), an animal model of human MS. Furthermore, ADN deficiency increased the Th1 and Th17 cell cytokines of both the peripheral immune system and CNS in mice suffering from EAE. 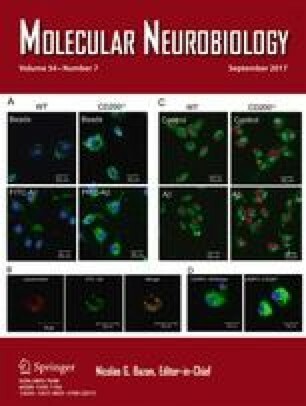 It is worth mentioning that ADN deficiency predominantly promoted the antigen-specific Th17 cells response in autoimmune encephalomyelitis. In addition, in vitro and in vivo, ADN upregulated sirtuin 1 (SIRT1) and peroxisome proliferator-activated receptor γ (PPARγ) and inhibited retinoid-related orphan receptor-γt (RORγt); the key transcription factor during Th17 cell differentiation. These results systematically uncovered the role and mechanism of adiponectin on pathogenic Th17 cells and suggested that adiponectin could inhibit Th17 cell-mediated autoimmune CNS inflammation. Kai Zhang and Yawei Guo contributed equally to this work. This work was supported by the Ministry of Science and Technology of China through Grant No. 2012CB932503; the National Natural Science Foundation of China through Grants No. 91029705, 81172864, 81272317, 81302568, 81301026, and 31402097. The care and treatment for mice were approved by Animal Ethics Committee of Tianjin Medical University and were in accordance with guidelines for animal care.